Did I ever tell you my favorite story about music and education? It has to do with Fiona Apple, Hester Prynne, A midterm test, A ponytailed teacher that was the product of a northeastern liberal arts college, and me getting a big, fat f***ing A. I didn't think so. I was dropped kicked into the deep end of English literature like most sophomore high school students. It was painful at times, mostly because of the weight of the Norton Anthology of American Literature I had to carry around all year or maybe because I had a huge crush on a guy in my class at the same time I was battling a little acne, had to get glasses, and at 5'9 couldn't fit in anywhere. After that much time on the book everyone knew the bulk of the midterm, a few short essays and one long essay, was going to be about The Scarlet Letter. None of us were prepared for the actual question of the long essay. Below are the lyrics to the modern song 'Criminal' by Fiona Apple. 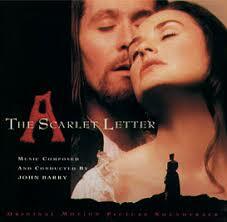 Argue how the lyrics do or do not explain the main plot in 'The Scarlett Letter'. Cite specific examples and character references. Now I think part of the reason why I got so excited for this question and still reference it as one of my coolest stories while being edudimacated as well as the teacher that left a profound impression of me is that I knew the song by heart already - I wholly subscribed to the Fiona Apple vibe, it blended in nicely with the Sarah McLachlan and Tori Amos in my repertoire. Like I am always saying, OWN IT - own what you like. I knew that song, I sang that song in a car both with friends and solo, the video of the song by Mark Romanek is still one of the coolest and was on MTV all the time (videos on MTV, the novelty). That said, I didn't ever combine my music tastes and pastime favorite as a source of true education, at least in the traditional sense I knew education to date. As a result of combining the two, I think Mr. Cze... not only got proof that I had read AND comprehended the book but how I could relate to it, he got me to be a little bit more personal with my formal private school writing. That was just the beginning of making music a key subject in life, a source of my continuous education. P.S. 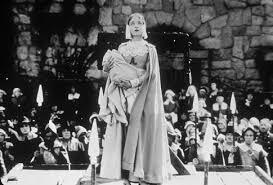 - Fiona Apple IS Hester Prynne, only without the red meat, cream, potatoes, and seamstress abilities. Fiona Apple in the 'Criminal' Video, Demi as Hester! Note to self - it was fun writing that and you should NOT have put it off for over a month. Writing is fun, not work, at least for now.... Stay Tuned!